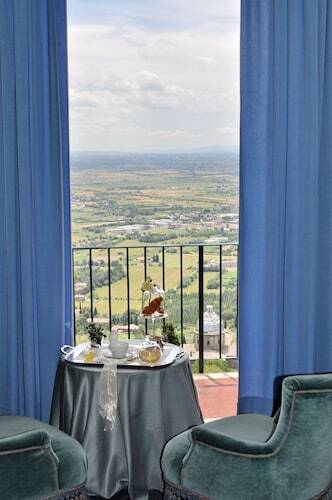 Situated in the historical district, this boutique hotel is 0.1 mi (0.1 km) from Val di Chiana and within 3 mi (5 km) of Chiusi Cathedral Museum and Chiusi Cathedral. Labyrinth of Porsenna and Chiusi National Etruscan Museum are also within 3 mi (5 km). This family-friendly Chiusi hotel is located in the suburbs, within 3 mi (5 km) of Val di Chiana, Chiusi Cathedral Museum and Chiusi Cathedral. Labyrinth of Porsenna and Chiusi National Etruscan Museum are also within 3 mi (5 km). Situated in the historical district, this hotel is within 2 mi (3 km) of Val di Chiana, Chiusi Cathedral Museum, and Labyrinth of Porsenna. Chiusi National Etruscan Museum and Piscine Termali Theia are also within 12 mi (20 km). Chiusi Chianciano Terme Station is only a 1-minute walk. 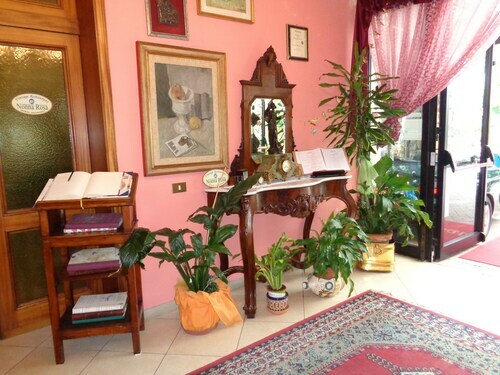 Situated in Chiusi, this country house is 0.1 mi (0.1 km) from Val di Chiana and within 3 mi (5 km) of Torre Beccati Questo and Torre Beccati Quest'Altro. Chiusi National Etruscan Museum and Chiusi Cathedral are also within 3 mi (5 km). How Much is a Hotel Room in Chiusi? 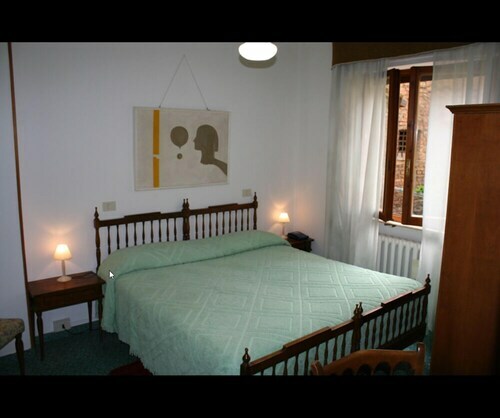 Hotels in Chiusi start at $51 per night. Prices and availability subject to change. Additional terms may apply. If you'd like to book places to stay in the area around Chiusi, it's useful to know that there are many suitable possibilities available. With the help of the resourceful database, you can research 39 interesting places to stay within a 6-mile (10-kilometer) radius of the heart of the city. An essential ingredient to enjoyable journeys is being wise about where you stay, so be sure to browse the Borgo Dolciano and Al Giardino degli Etruschi, all of which are a short distance of downtown Chiusi. 0.6 miles (1 kilometer) away from the center of Chiusi is the Borgo Dolciano. This hotel is an excellent option for travelers who are on a tight budget. 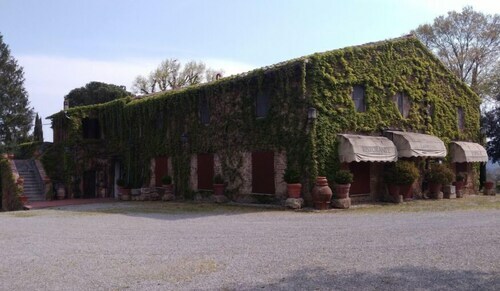 The Agriturismo La Badiola is another budget option in this area. The Fonteverde is around 12 miles (19 kilometers) from the city center of Chiusi. Another alternative is the Relais La Corte dei Papi, which is about 16 miles (26 kilometers) away. 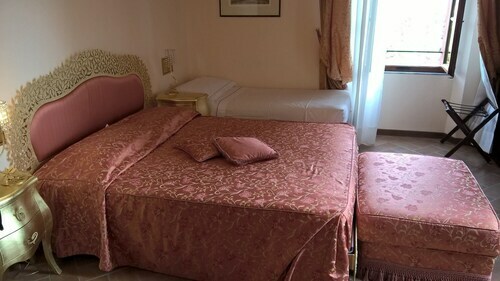 The Hotelito Lupaia and also the Relais Il Falconiere are alternate hotel options in Chiusi. Once you and your traveling partner have got a feel for Chiusi, how about you discover a little further afield? The Tuscany region is home to many places to see. Travel around Tuscany's ruins, castles and traditional villages. Anyone with a love for the great outdoors should make the time to relish the region's rural landscapes and beaches. In this region of Italy visitors can partake in snowboarding, skiing and snow shoeing. On the hunt for things to do? Consider spending a day or two enjoying Archeological and Collegiate Church Museum and Torre Rognosa, which you'll find in Val d'Elsa, 50 miles (79 kilometers) northwest of Chiusi. Some Travelocity-listed Val d'Elsa accommodation options include the Tenuta Di Mensanello and Torraccia di Chiusi. For another option, stay in Val d'Orcia, 17 miles (27 kilometers) to the west of Chiusi, where you have the options of the Adler Thermae Spa & Wellness Resort and Hotel Osteria Dell Orcia. Regardless of whether you're passing through or spending a few nights in Val d'Orcia, make sure you visit the Collegiate Church of San Quirico and Palazzo Chigi. Peretola Airport is a practical gateway for air travel, and is situated 65 miles (104 kilometers) from Chiusi's center. Hotels that are nearby are The St. Regis Florence and The Westin Excelsior, Florence. IL Melograno 8+2 Sleeps, Villa With Private Pool at Exclusive Use!